This deterrent uses a combination of essential oils to keep the nasty bugs away and provides a comforting aromatic experience all at the same time! Rub the gel onto exposed skin on buggy summer days. You Save $20.42 by purchasing this kit rather than buying the items separately. • (8) 1 Bottle - 02 oz Natural Malibu Tottle Bottle - 22/400 1.5"
Water, Aloe Barbadensis Leaf Juice, Glycerin, Carbomer, Triethanolamine, Iodopropynyl Butylcarbamate, Diazolidinyl Urea, Disodium EDTA, Cedarwood Essential Oil, Patchouli Essential Oil, Geranium Essential Oil, Lemongrass Essential Oil, Citronella Essential Oil. "Hi there, can this kit be used on children 2yrs+?" Staff Answer We would recommend asking a pediatrician if this would be safe to use. "This kit did not have a suggested retail price as do many of the other recipes/kits I have followed. Could you please let me know what is suggested? I have ordered the kit as well as additional supplies to make more. Thank you in advance." Staff Answer The suggested retail price for this is $9.95. 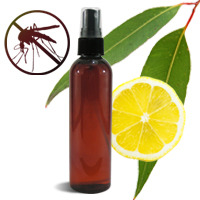 We do have this listed on our website: http://www.wholesalesuppliesplus.com/products/aromatherapy-bug-deterrent-kit.aspx.